All fotos today come from Isaac Pennock at various Canadian shorelines along the eastern Great Lakes. And an interesting set of vessels this is. Take James A. Hannah, foto shot in Hamilton. Look at her lines. You’ve seen a sibling of this vessel here before. Recall Bloxom here and in the graveyard here. More on James A. Hannah and siblings at the end of this post. This foto of M. R. Kane was taken in Toronto. Kane appeared in the sixth boro on this blog three years ago in a foto Bowsprite took from her cliff. Finally . . . a closeup. 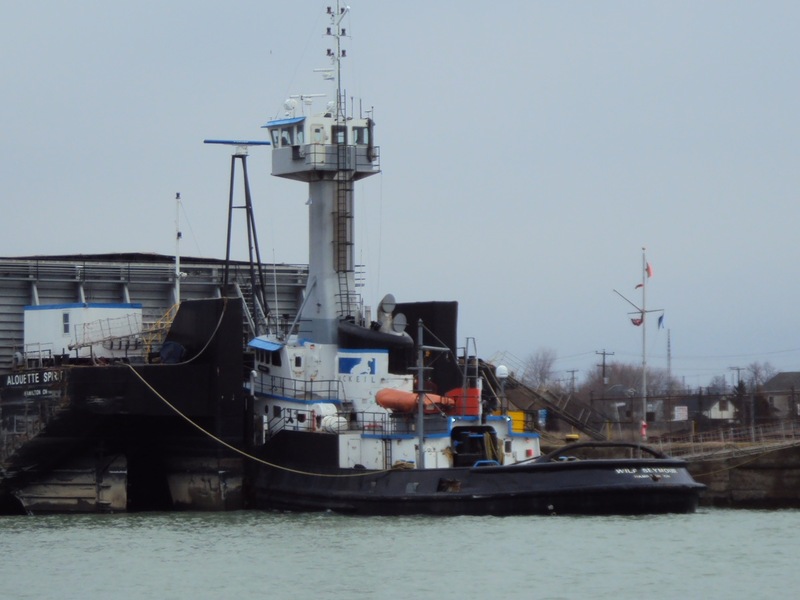 Wilf Seymour foto was taken Port Colborne. Seymour is Port Arthur, TX-built in 1961 and some of you may remember her as M. Moran! 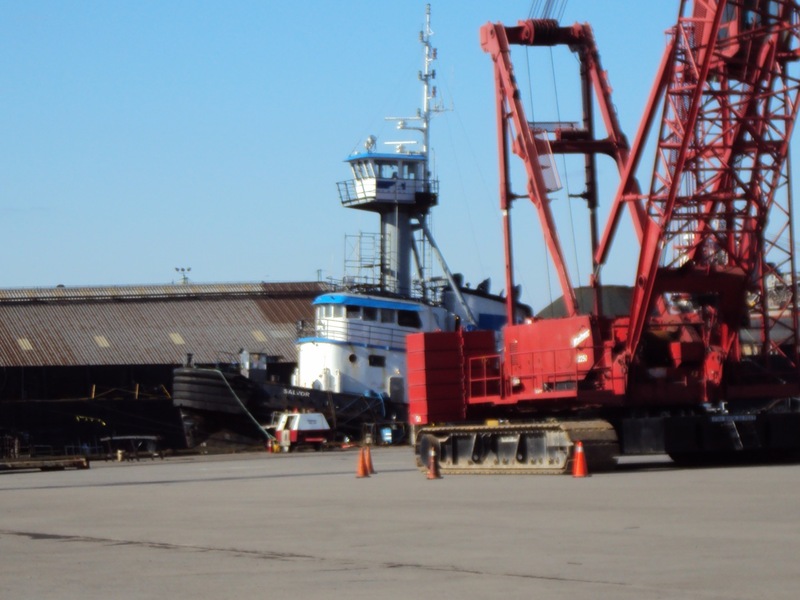 Here are more specs from the McKeil Marine site. Salvor is Long Island-built former Esther Moran. Salvor, delivered in 1963, was hull # 417. 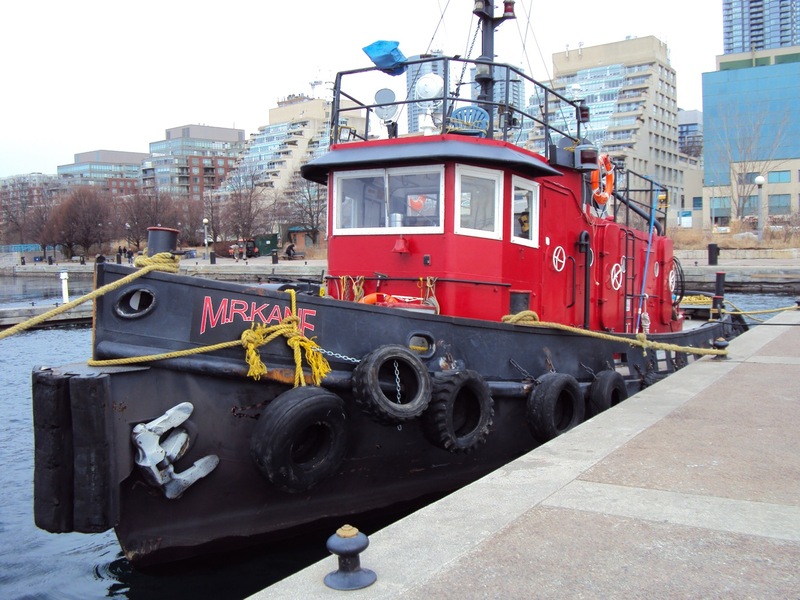 To add some context here, K-Sea’s Maryland was also built at the Jakobson yard in Long Island, hull # 406 and delivered a year before Salvor. 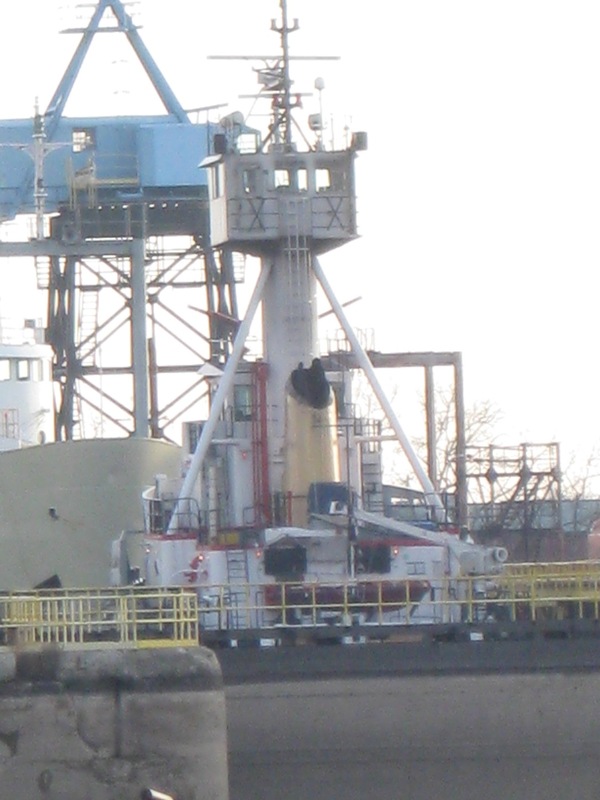 There’s not much to see here, but I believe–Isaac asserts– is the Australian-built, Canadian-flagged K-Sea tug William J. Moore, taken here in St. Catherines. I’ve never heard of this vessel. I quote from Birk and Harold’s site: “at one point she was dubbed the largest and highest-horepower tug in Australia.” Who knew? I located this image in the photo archives of Marietta Manufacturing. Taken on May 20, 1944, it shows LT-650. Bloxom was launched a month later, same location, as LT-653. Two years later, LT-650 was sold to China, and current disposition . . . I’ve no clue how to trace. Is there an US Army tugs-in-China expert out there? 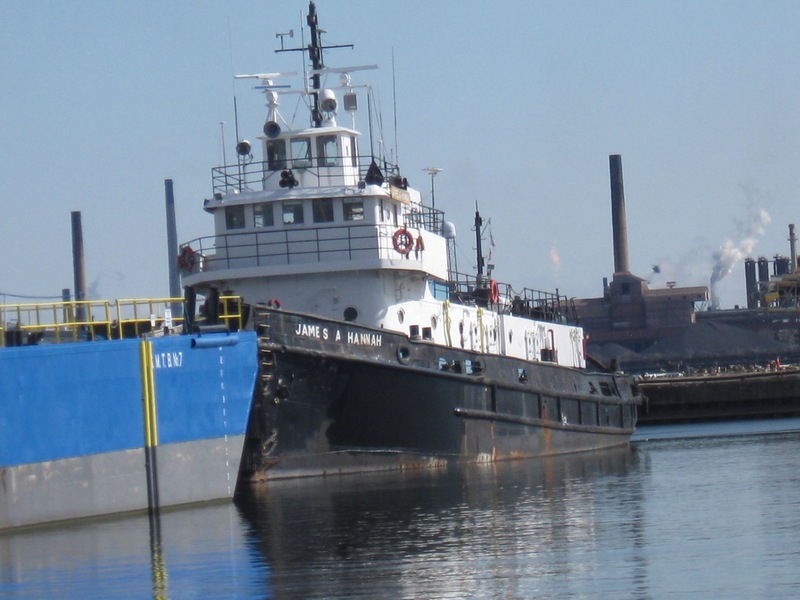 James A. Hannah was launched a year later–July 1945 as LT-820. Fleet siblings of James are David E. Hannah and Mary E. Hannah, respectively LT-815 (April 1945) and LT-821. David E. appears to have been out of service since 2009, somewhere near Chicago. Birk and Harold have her series of names listed here; one of those former names was Kristin Lee Hannah, shown here, although the date of build listed as 1953 is wrong. 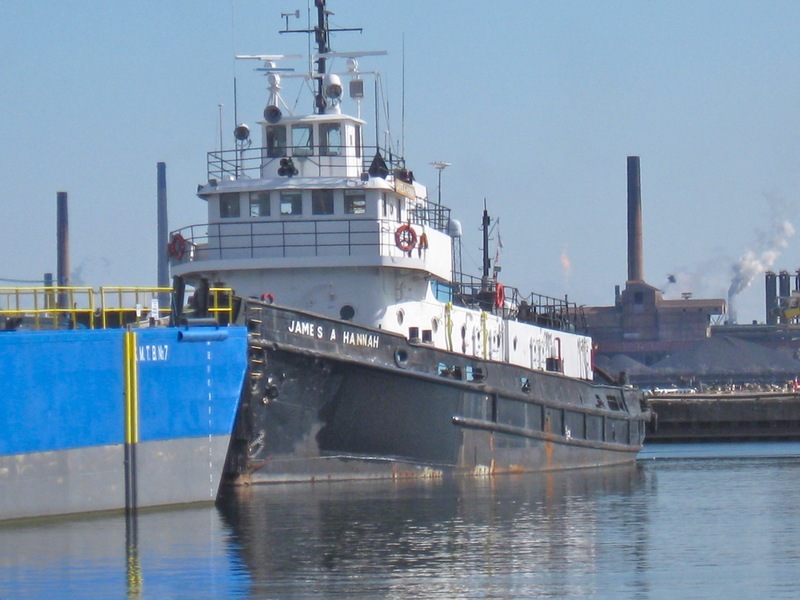 Click here for a 2009 article on the demise/auctioning off of Hannah Marine. I’d love to see a current foto of David E. or know her approximate whereabouts. Many thanks to Isaac for these fotos. 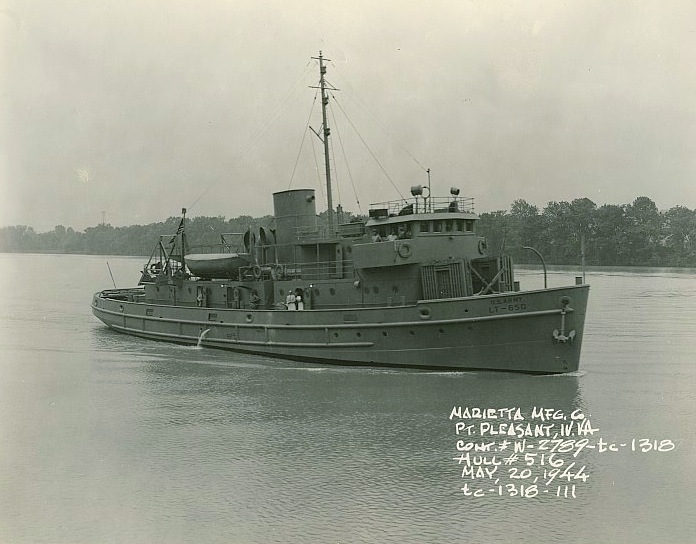 Also thanks to the Point Pleasant (WV) River Museum pointing me in the direction of the Marietta Manufacturing photo archives.